Henry Turner is a native Georgian guitarist and singer who after playing in many different settings, has focused his efforts to yield a brand of music steeped in blues and rock. These stylings establish his introspective and soulful songwriting. 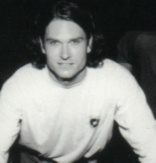 In 1994 he joined the Urban Shakedancers to work on a regional level and as a support act on the H.O.R.D.E tour. Extensive roadwork in the south eventually lead to a two week tour of the west coast with the Black Crowes. After working with the Urban Shakedancers for a couple of years, Henry left to tour with blues guitarist Tinsley Ellis. Playing in these different bands has given Henry the experience needed to return to Atlanta and form Lowmelt and record their debut CD- World Cry, which presents a culmination of different styles ranging from harder edged blues rock to acoustic. The music is driving and muscular with nice changes of pace throughout the recording. Fat guitar tones, good songwriting, heartfelt vocals and thumping grooves will satisfy the soul! "It's a gradual rude awakening when you begin to realize that the music you grew up with is now referred to as classic, and influences a whole new generation the same way Muddy Waters, Elmore James and Howlin' Wolf influenced you. Listening to these two recordings, I came to realize that the bands I grew up with, the bands I toured with--that I call my friends-- are now the grandaddy bands of quality groups like these. These two bands from Georgia--Lowmelt from Atlanta and Ancient harmony from the southern regions of the state, around Albany, have blended their influences in the same way that the Brothers and their peers did before them. Listening to either one of these records for me is a real treat. You hear the traces of all your favorite things--some Brothers here, some Tucker there, The Outlaws, a little Sea Level. In Lowmelt's case, there is a dose of Skynyrd, powerful and dark...by the grace of God, there is not a lick of Hatchet, Blackfoot or .38 Special anywhere. These boys from Lowmelt--Henry Turner on lead guitar and vocals, Ryan Sauls on bass and Webb Vandiver on drums are all veterans of some local Atlanta bands, including the likes of Tinsley Ellis and the Urban Shakedancers. They make a lot of music for a trio, with particularly strong songwriting. Law Man--a real dark groove; Who's Your Brother-- a real funky stomper, and several others. The feel of this CD fits the bands name--Lowmelt-- and makes me lean and move real fluidly. Nice groove throughout, and guitar sounds that are so familiar without being direct cops." E-mail Henry Turner today for bookings, World Cry CD and schedules! Get your copy of Lowmelt's "World Cry" album today my e-mailing henry or Grass Roots Entertainment! 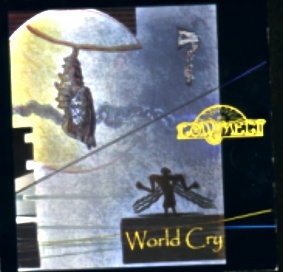 "World Cry" will taking you on a smooth journey with it's blues infusion into rock-n-roll. Henry's voice and stylings with that guitar will make you swear that he was a hard livin' delta bluesman in a former life! Henry was reunited with the Urban Shakdancers at Smith's Olde Bar in Midtown Atlanta on April 29th. The show was a success and the Shakedancers truly took the crowd to another level. The band cut the blues with enthusiasm and an energy that came from out of nowhere! We hope that more shows with this lineup are in the near future! Contact Grass Roots for directions or questions about any gigs listed for Henry Turner or 3 Bags Full. See ya there!!! Please sign Henry Turner's guestbook! Click the banners and check out more music! Find the CD you're looking for with Amazon.com or CDNow!